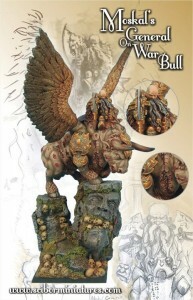 Scibor spared no materials in making this massive new Moscal General on War Bull model. Model is made of high quality resin and provided with 50mm square scenic base. It is unpainted and requires assembling.